Rolling a Kayak is Ken Whiting's sixth book on kayaking technique and the most comprehensive, clear and concise guide to learning and perfecting the kayak roll. 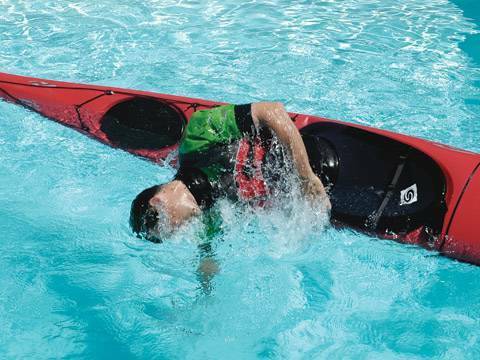 Written for both whitewater and sea kayakers, this book provides novice kayakers with foundation skills and step-by-step instructions for the standard kayak rolls, such as the C-to-C, Sweep and Pawlata rolls. Experienced paddlers can take advantage of Ken's clear explanations of how to execute advanced rolling techniques, including the Back Deck Roll, the Hand Roll, the Dry Head Roll, as well as how to roll in current, waves, holes and ocean surf. Ken also describes the most common problems that are encountered when learning the various types of rolls, and provides both their solutions as well as tricks for instructors to help students overcome them. It is a very well written and illustrated book. The pictures are very high quality and the advice it contains is very good and easy to understand.